Today, Danang City authorities and Sun Group host this press conference to unveil the official launch of the Danang International Fireworks Festival 2018 (DIFF 2018). 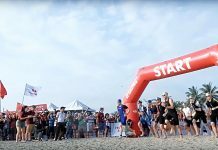 Following the success and drawing lessons from the DIFF 2017, the DIFF 2018 is to make a comeback with new updates, which are expected to make differences and meet expectations of the locals and visitors to Danang alike. DIFF 2018 as entitled “Legends of the Bridges” will take place in two months, starting from April 30, 2018 up to June 30, 2018, involves 5 competition nights of 5 separate themes: Love, Time, Happiness, Desires and Friendship and features 8 competition teams from these following countries and territories: Vietnam, Poland, France, the US, Italy, Hong Kong, Sweden and Portugal. 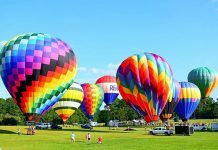 Besides established and highly accomplished teams in the preceding fireworks festivals, the DIFF 2018 also features new teams who will not disappoint all spectators with their brand new fireworks displays. Theme “Legends of the Bridges” in the DIFF 2018 is to regale spectators with cultural stories of 8 participating countries and territories via their legendary bridges noted for their historical, cultural, traditional and even architectural significance. Each fireworks team that takes part in the DIFF 2018 also symbolizes an arch of the bridge of friendship, peace and connection of all the five continents towards a better future. The opening ceremony of the DIFF 2018 is due to be held at the night of April 30, 2018 and features the opening competition between Vietnam and Poland, to be followed by competition nights between France and the US (May 26, 2018), Italy and Hong Kong (China) (June 2, 2018) and Sweden and Portugal (June 9, 2018). Two best teams out of the 8 participating teams will be selected into the final round and win the First and Second prizes, due to be hosted on June 30, 2018. 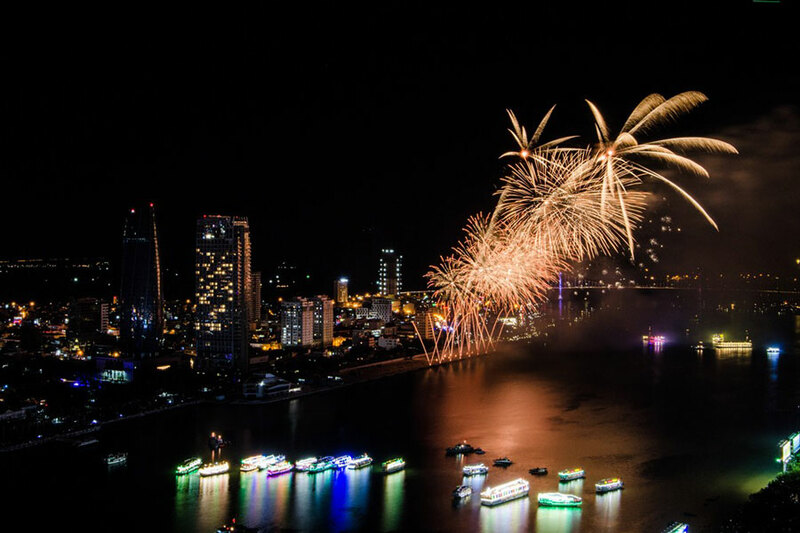 With breathtaking and spectacular displays by fireworks powerhouses, the DIFF 2018 is to stun all the locals and visitors of Danang alike with the second International Fireworks Festival of Danang as well as unheard sensations and novel experiences it entails. DIFF 2018 will have its private stage in the similar location to where it was in 2017, on Han River. However, the stage is now equipped with new model and new technologies. Beside seating area A that is extended from last year, in the front of other seating areas are large LED screens so that spectators are enabled to closely watch choicest art performances onstage. 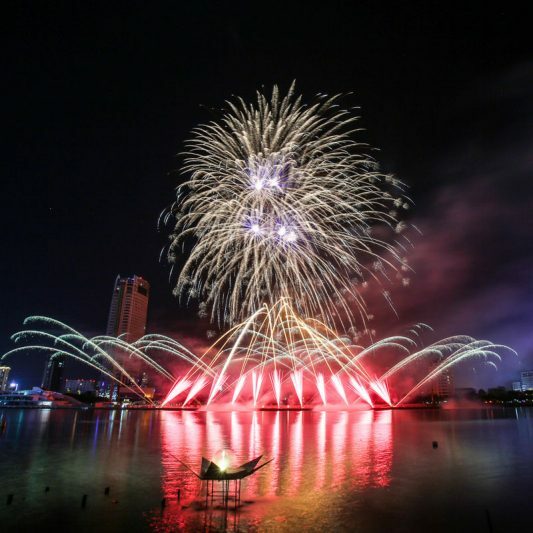 At the hands of the new General Director – Do Thanh Hai – the stage of every single firework display night is to be breathed new life and creativity and further awakened with vibrant and peculiar art performances joined by top artists, who altogether lavishes the whole DIFF 2018 with most sensational moments of arts. All competition nights will be broadcasted live by the Vietnam Television. 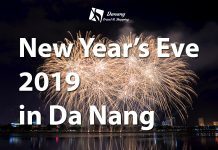 Accompanying events include a string of art performances and festivities that set public recreational areas of Danang aglow during the two months of the fireworks festival. The most vibrant and expected event is definitely the Street carnival. Unique model carts, upbeat art displays by both local and foreign street artists who represent their own participating countries and territories will lure all visitors to the street, join the giant crowd cheering out there and revel in a festive and ragingly robust ambience. 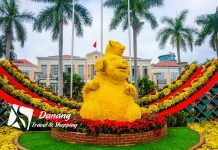 Besides, there are also a lot of other accompanying events that are due to be hosted and supported by the city authorities and local businesses, who are determined to add colors of vibrancy to this coastal city and usher in endless experiences of joys and amusement for both the locals and visitors travelling to Danang during the DIFF 2018. Speaking at the press release, Mr. Huynh Van Hung, Managing Director of the Danang Department of Culture and Sports said: “After 7 hosting years and 1 renovation year in term of the organization scale, Danang has succeeded in cementing our brand image as a “Fireworks city” and making the DIFF the most sought-after event of the year. Following the success of the DIFF 2017, we the city authorities believe that Sun Group will continue to make elaborate investments in the contents and the festival’s massive scale, so that the DIFF will continue to be a “must-visit” festival for our friends from overseas, and contribute to building the city’s branding as a “Top festival and event destination of Asia”. Mr. Dang Minh Truong, Vice President and Managing Director of Sun Group claimed: “Success is our motive and all things that need addressing in the DIFF 2017 are to be tackled, so that the DIFF 2018 will be even more gorgeous, fabulous and captivating. 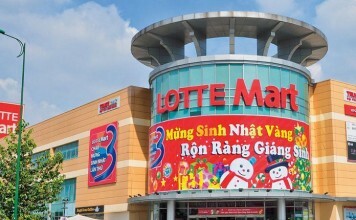 Sun Group put strong focus on innovations and cementing the brand image of “The Fireworks City”, which grows more unique and artistic year after year. Given these efforts, we expect the DIFF 2018 to allure a greater influx of visitors to the city during these two summer months and integrate the DIFF into the cultural, sport, art and entertainment festivals that meet criteria of the International Festival Forum (IFF) – UNESCO as we scheduled and expected in the 10-year term of 2017 to 2027”. 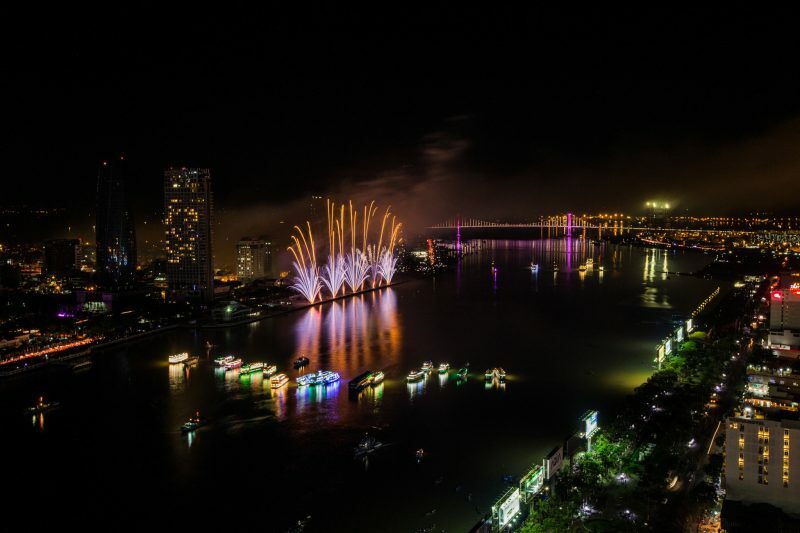 Unveiling new features of the Fireworks Festival 2018, director Do Thanh Hai keenly explained: “DIFF 2018 represents a dynamic and well-integrated Danang City. Many unheard and unseen art events are to be elaborately directed and totally set themselves apart from those in the preceding DIFF, which thus concretes a brand new head start and demonstrates that the DIFF is an indispensable festival of 2018 in Danang”. 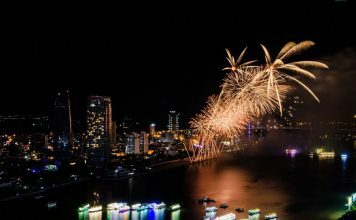 Owing to numerous updates and more elaborate operations in the second international fireworks festival, the DIFF 2018 is expected to invite changes to captivate all spectators, but also realize the ideals of making Danang a “Fireworks City” that rivals most reputable regional fireworks hubs such as Pohang (Korea), Hokkaido (Japan) or Macau, etc.